Play for your hands. Flavor for your mouth. 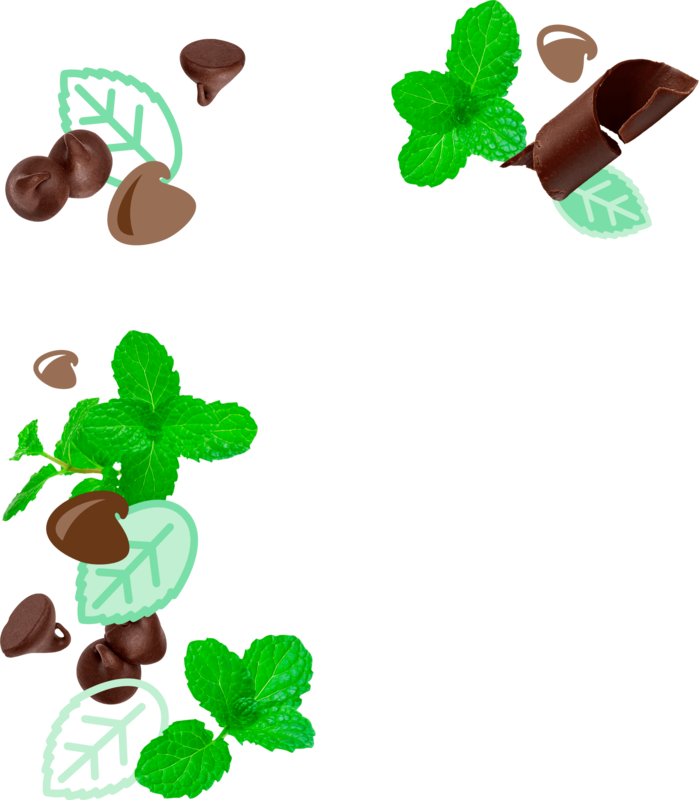 Feel the cool of Mint Chocolate Chip My/Mo Mochi Ice Cream. 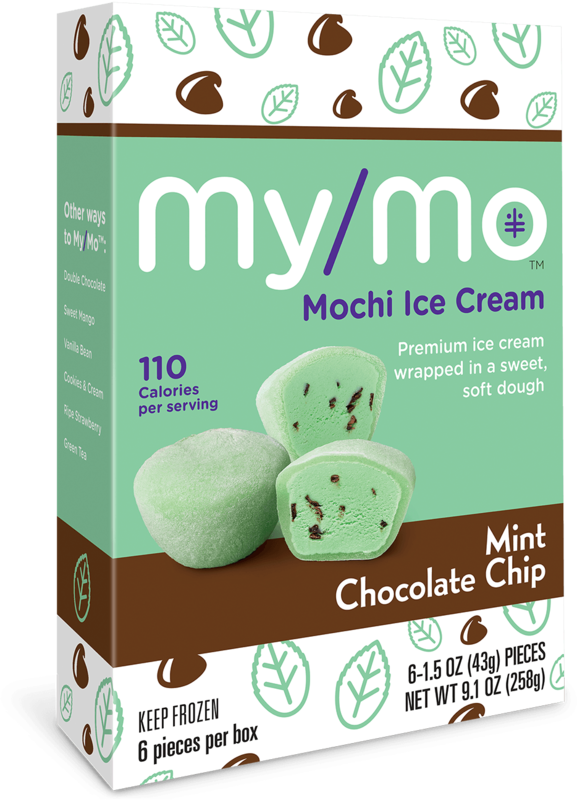 Premium mint ice cream studded with pure chocolate chips then wrapped in a layer of ooey-gooey chewy mochi dough. It’s like whispered sweet nothings to your taste buds. Ice Cream Ingredients: Milk, Cream, Sugar, Corn Syrup, Chocolaty Chips (Sugar, Coconut Oil, Cocoa Processed with Alkali, Cocoa, Salt, Corn Starch, Sunflower Lecithin, Natural Flavor), Whey, Nonfat Dry Milk, Spirulina Extract (Color), Turmeric Extract (Color), Natural Flavors, Stabilizer (Locust Bean Gum, Guar Gum). Mochi Dough Ingredients: Sugar, Water, Sweet Rice Flour, Egg Whites, Trehalose, Corn Starch, Spirulina Extract (Color), Turmeric Extract (Color).